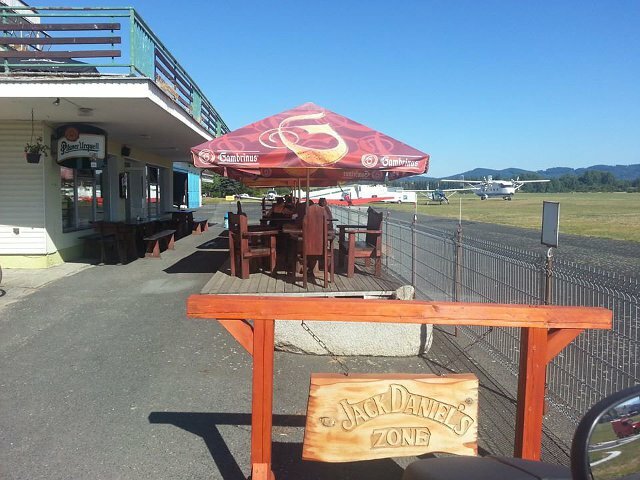 The right place for your weekend family cycling, car or just walking trips or for evening fun with an excellent dinner and nicely spent time with your friends, you find in our restaurant in the style of Jack Daniel´s, having outside terrace, which is placed just at the airport. The parking place is available and if needed we shall call a taxi for you. Our restaurant is open from April till September daily from 11.00 till 22,00 and during weekends we open already at 10,00. During the winter time and out of main season we serve lunches from 11,00 till 14,00 (Monday – Friday) and during weekends depending on weather conditions and flying operations at the airport. 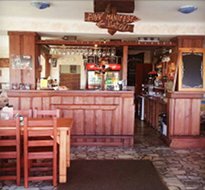 Are you looking for cosy place for your company, family or even for your wedding party? No problem at all. Upon prior telephone agreement we can prepare table for 35 persons or even buffet style dinner up to 50 persons, all upon your requests and wishes. There is also available open fire and BBQ sitting, just in the area of the airport, which is an ideal place for evening BBQ party. Just come and you are more than welcomed! 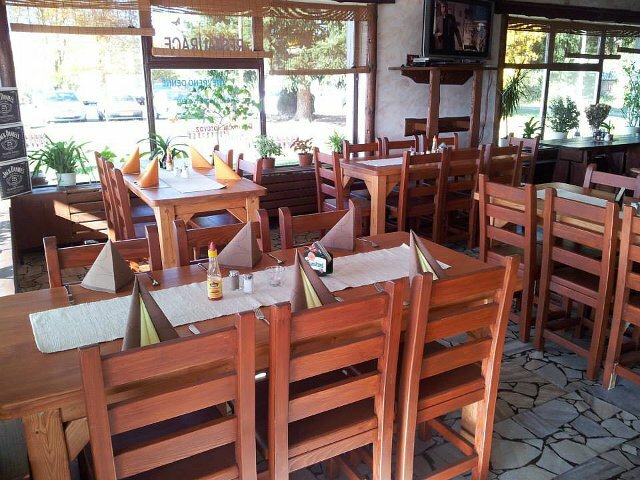 Contact: +420 774 605 061, e-mail radekmajer@email.cz, or you can find us on facebook Restaurace Letiště.